After a nine month long lay off following a knee surgery, Gaby Milito yesterday trained with his team mates for the first time. Andres Iniesta also resumed training, eventhough he was training in isolation. The creative midfielder will not feature in this week's away match at Atletico Madrid, but there is a huge expectation of him recovering well to feature in the Copa Del Rey match against Real Mallorca. The recent below par performance has already worried the Camp Nou faithfuls and they are seriously hoping that it changes when Iniesta is back. But there is a high chance that Guardiola will not risk Iniesta in the Copa Del Rey match and hence we will mostly see him in action only in the home match against Bilbao next weekend. Any dates of Milito's comeback cannot be confirmed nor predicted at this moment. Mostly we might see him in action towards the end of March or early April. Abidal was the only absentee from yesterday's training session due to injury. 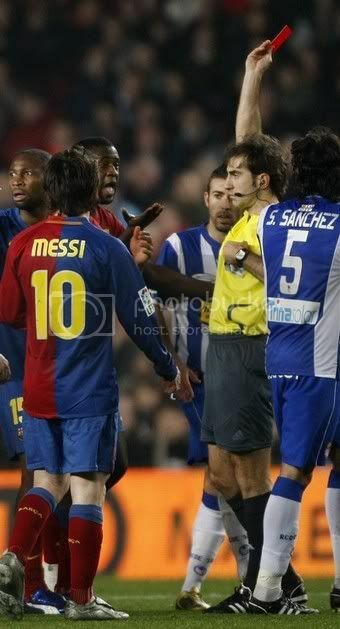 There was also a mention of Messi having a black eye following a tackle from the Lyon match in the official website. All the four English clubs are better placed to move to the next round of tournament after satisfactory results in the first leg. Barcelona also holds the upper hand to proceed to the next round; but that cannot be said about other Spanish teams - Real Madrid lost to a jam packed Liverpool at home, Atletico Madrid drew at home to FC Porto and to make things worst they conceded two away goals. Villareal also drew at home to Panathinaikos and again like the other Spanish team which played at home conceded a crucial home goal. In contrast the English clubs fared far better than any other, especially Manchester United and Liverpool. Same cannot be said about Chelsea and Arsenal as they go to crucial away matches with a solitary goal lead. But still they are better placed than other teams to proceed further. Eventhough FC Barcelona didn't have a great game they some how managed to find an equaliser through an off colour Henry. 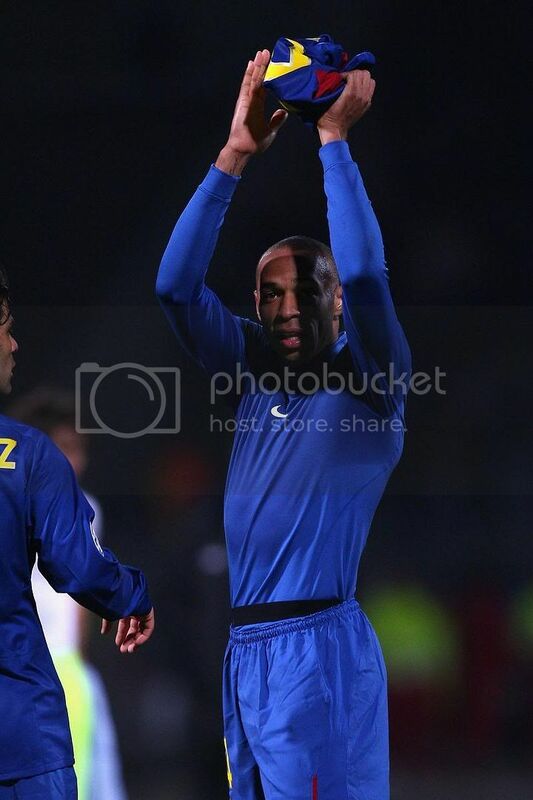 Courtesy of that Henry header they move to the second leg being the firm favourite to proceed to the next round. Manchester United is firm favourite to proceed against Inter, Ferguson hoped that they could do a repeat of last year's semifinal. Inter not at all played well; for all the pre-match talkings of Mourinho, I thought his players were a bit confused. And once again the "Special One" has come out against the referee; the good news is UEFA has taken notice of it and most likely will serve him a touch line ban for next game. If soemthing worries Manchester United it has to be their own record. Ferguson has not done well carrying a 0-0 result to a ahome leg in Champions League, eventhough they did well against Barca. Liverpool will be doing employing the same tactic - don't let your opponents score againt you. Real Madrid is going to find it very tough to score against them in Anfield; but if Robben shows his true colour they have still hope. Still their midfield lacks the pace to overcome a defensively minded Liverpool. By the way Javier Mascherano should be adjudged the best player of this leg, had an absolutely magnificient game. The best performance of this leg has to be the 5-0 drubbing of Sporting Lisbon at Lisbon by Bayern. They surely have a big foot placed in the quarter finals. FC Barcelona will consider themselves lucky after coming out of first leg of knock out stage of Champions League unhurt. The irony is that not only they weren't hurt but also managed to hold the upper hand into the return leg with a precious away goal. Many of Barca's supporters were hoping for a improved performance after two lacklustre displays against Betis and Espanyol. But Lyon wasn't the place for that and I have to admit that this was the worst we have played since the match against Numancia. Now that's a strange thing, isn't it? In the last three match including the Lyon one, we have been claiming that each one was the worst in this season. That means there is no improvement happening, but in the negative side things are getting a bit worse. Our next match is against Atletico madrid away from home; normally that would be a very dangerous visit. But seeing their defense against FC porto, I think that won't be a bad place to visit especially at this time. 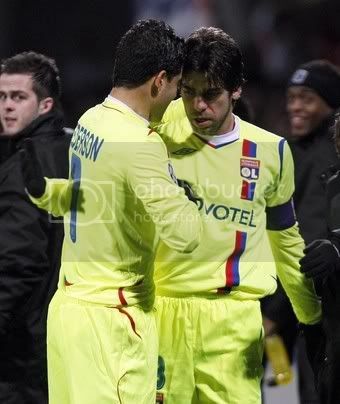 As expected Barca struggled against the set pieces of Lyon and went ahead with a Juninho free kick early on. Henry equalised for Barca in the second half. To the build up of this match every one including Messi, Puyol and Guardiola has expressed their hope of bouncing back from last week. But that wasn't the case to be. When the draw was made two mon ths back everyone written off Lyon, but they took the game to Barca and would be kicking themselves for not finishing off the game. Guardiola decided to have Puyol playing the full back role in place of Abidal. Thus Alves, Pique, Marquez and Puyol formed the defense infornt of Valdes. Toure wasn't in his usual self as the defensive midfielder and that could be attributed for the way defense struggled against Lyon. Xavi and Busquest formed the rest of midfield. 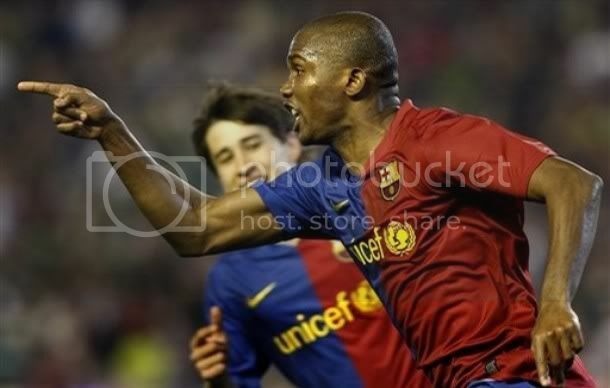 The attacking trio remained unchanged and was made up of Messi, Eto and Henry. 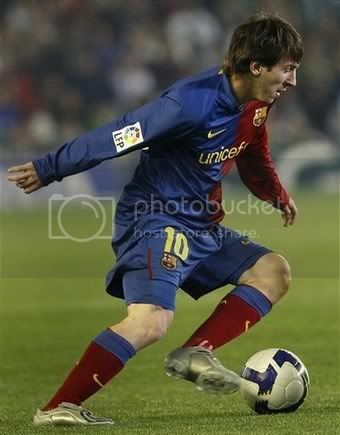 Barca started the game well holding onto the possesion. Then in the 6th minute Juninho converted from a free kick but he could not have converted without the stupid positioning of Valdes. He simply stood there. An early goal destroyed the team's confidence and that started showing in the ball distribution. 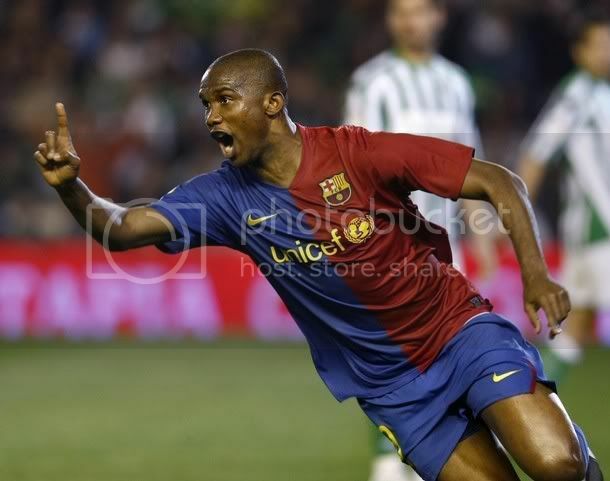 Barca's first effort came in the 14th minute when Xavi found Eto, whose clever effort hit the far post. Benzema was creating the majority of problem for Barca up front. In the 27th minute his low shot hit the far post. Lyon defense was crowded out by the Lyon defense and was having an average game. In the second half Lyon took the foot off the pedal and that resulted in eventually Barca equalising. 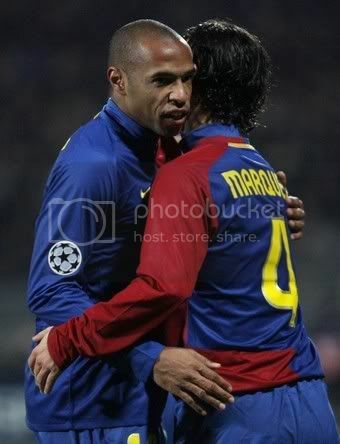 In the 66th minute a Xavi corner kick was flicked on by Marquez and the ball fell to Henry who headed it into goal. What difference a goal makes? Suddenly Barca looked more confident. Eventhough there wasn't any special performance after that we held on well till the end. Once again we struggled to dominate proceedings. A draw is a very good result but did we deserve that is another question. 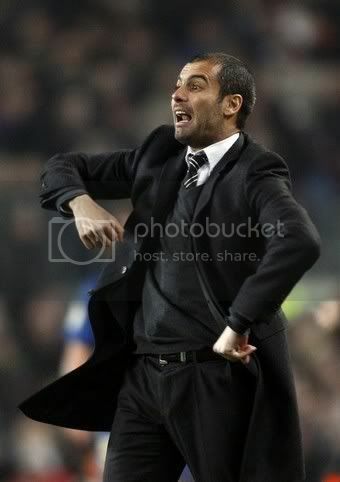 It was good to see Barca scrapping through this leg but there are things which Guardiola needs to ponder. Our passing looked suspicious and we are missing the high defensive line and pressing. The players are a bit hesistant to press upfront. Already there are cries for Iniesta to return back from injury by Barca fans. But will that change much. Ofcourse we will control the game more when he comes back but still our players should try to take the initative on the field ratehr than waiting to be handed. FC Barcelona would be hoping to put an end to recent lack-lustre performance with a good result at Lyon on Tuesday night. Barca have dropped five points in last two league matches and the next one is at Atletico Madrid; that doesn't eases anything. Atletico would be looking to take revenge for the drubbing they received at the hands of Barca earlier this season. Before that FC Barcelona has to successfully negotiate a tough away game at Lyon in the first leg of UEFA Champions League. Barca did struggle in the last two league matches and Lyon would be a very tough place to get things back on track. But we can expect Guardiola to get the train back on track and rolling. FC Barcelona captain Puyol has expressed his confidence in the team and its title credentials. 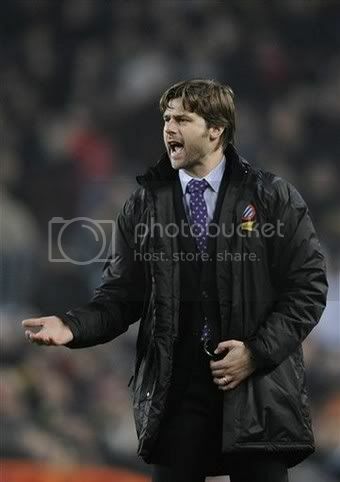 He also emphasized on the importance of away goals against Lyon. 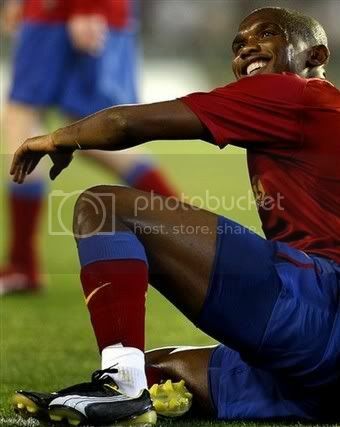 Mean while Abidal is been confirmed to be out for eight weeks. Guardiola has announced the squad which will be travelling to Lyon. The squad list is Valdés, Pinto, Alves, Sylvinho, Puyol, Víctor Sánchez, Cáceres, Piqué, Márquez, Xavi, Sergio Busquets, Gudjohnsen, Keita, Touré Yaya, Hleb, Messi, Eto’o, Bojan and Henry. Guardiola and Messi will attend a pre-match press conference at the Gerland stadium. How will Guardiola fill the void left by Abidal on the left is to be seen? Earlier when Abidal was having a bad run we used Puyol at the left. We even tried a 3-1-3-3 fromation which was also pretty successful. But against Lyon a back line consisting of three members would be suicidal. Caceres had played the left back role once and looked confident there. Ofcourse, we surely have Sylvinho in the squad for the left back position. Whoever comes at the Left back position I would definitely love to see Marquez and Puyol partnering together at the heart of defense. I expect Valdes to be picked as Goal Keeper. Alves, Puyol, Marquez and Caceres should form the defense. Xavi, Busquets and Toure would be the ideal midfield. Messi, Eto and Henry has to be the attacking trio. It is essential for Barca to win this encounter and take all the positive to the second leg and the league. Forgot to predict the score line.I expect a tought 0-2 victory for Barca. May sound crazy for some, due to recent poor results. But the boys will be eager to bounce back. Valdes - 5 - Had a decent night but his mistake which led to second goal was simply unpardonable, especially taking into consideration that Barca were reduced to ten men. Alves - 6 - Was not that effective on the right. For a second match in succession he was not influential in offense and defense. Pique - 6 - Had a better night than last one. Did struggle once Keita was sent off but still looked to go forward on every given oppurtunity. Marquez - 6.5 - Had an excellent night till Keita was sent off after tthat naturally struggled. 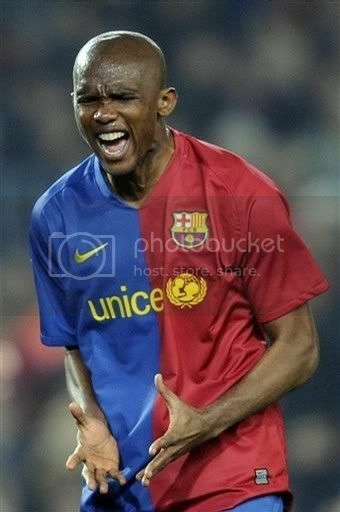 Abidal - 7 - Was good till he was there and is interesting to see how Barca cope in his absence. Xavi - 6 - Nothing special from the Spanish Midfield giant. Should have raised his game but failed miserably. Toure - 7.5 - The best of Barcelona players. He was magnificient in defense and did much to attack also. Capped a good night with a goal but would be dissappointed to have lost the match. Keita - 6 -Played ok till the red card. But is yet to reach his usual form. Messi - 6.5 - Much was expected from him but failed. Especially after Keita was expelled everything rested on his shoulder. Guardiola's decision to put Busquets along with his didn't help. Eto - 6.5 - Very poor display. Everyonje expected him to show something after his all week non-sense talking. Henry - 6 - Missed a glorious chance and had to be substituted after keita red. Puyol - 6 - had a poor night on the left. It would be good to try Caceres as Left back till Abidal returns. Busquest - 6 - Struggled after coming in and moving forward. Gudjohnsen - 6 - Had some half chances but failed to capitalise. FC Barcelona were condemned to their second defeat of this season after going down 2-1 at home to local rivals Espanyol. 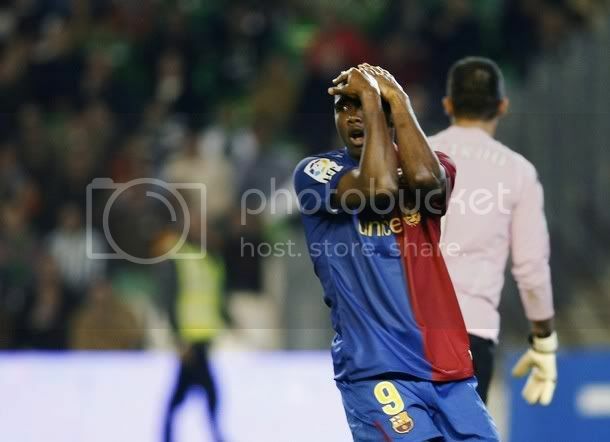 On a very ill tempered night ex-barca player Ivan De La Pena scored twice to hand Barca a rare defeat on a night where the defending champions Real Madrid cruised to a 6-1 victory against Real Betis, a team against which Barca failed to win last week. Where it is a sign of the momentum in the league shifting towards Real Madrid is yet to be seen; but the confidence in Real Madrid tracks are undeniable after they managed to cut 5 points from the lead within two weeks. 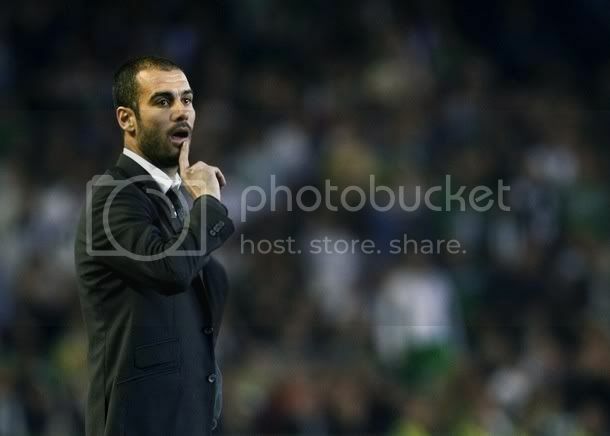 Eventhough a seven point lead is very substantial, Guardiola has a very tough job on hand. His problems will be made more complicated by the fact that Abidla was injured last night and will be out for 6-8 weeks. 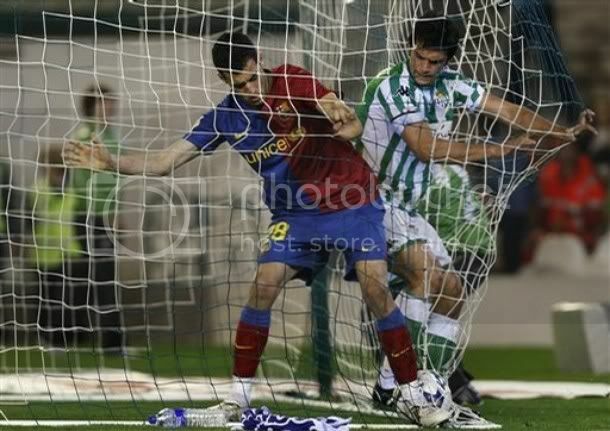 Valdes was chosen as expected at the goal. 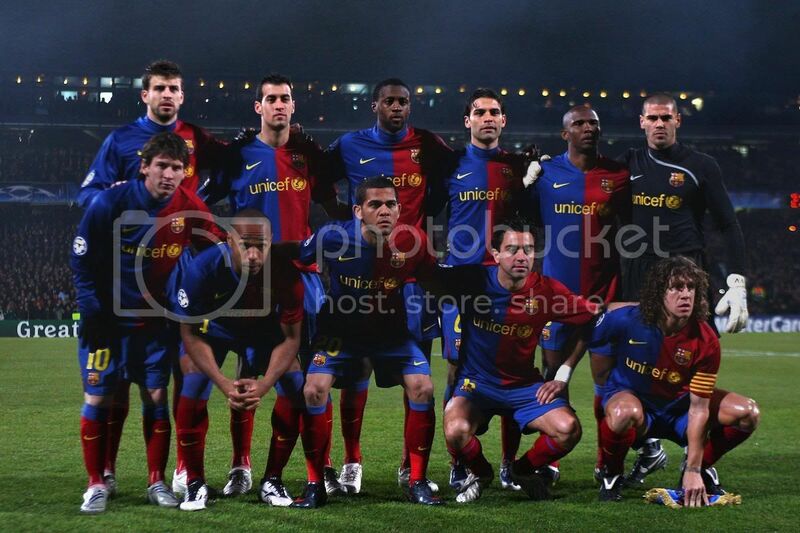 The defensive line had Alves, Pique, Marquez and Abidal. The midfield was made up of Xavi, Toure and Keita. The front troika remained as expected with Messi, Eto and Henry combining together. FC Barcelona had the majority of possession for the first half but never created any decent chances early on. The first real chance came when Thierry Henry headed high from a great cross from Messi. Messi cut past defenders and crossed the ball from the end line but Henry missed it badly. 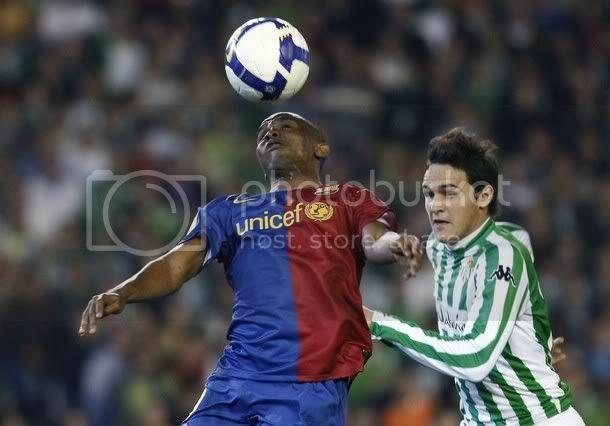 In the 22nd minute a high challenge on Abidal saw the player injured. 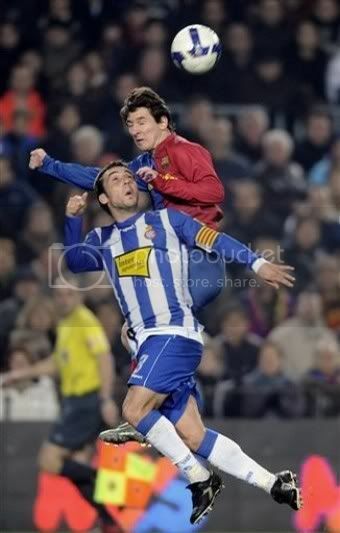 In the 28th minute messi was brought down and it became a tug of war after that between players. In the 38th minute Keita weas red carded for a two footed challenge on Moises but the replay showed it as not worthy of a red card as the referee deemed. From then on Espanyol raised their game and Barca eventually played for being reduced to ten men. Guardiola changed the formation to 4-3-2 after the break. 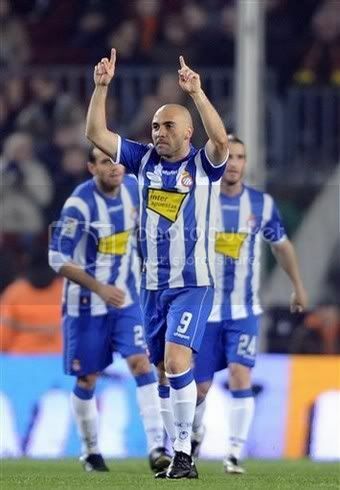 In the 50th minute Espanyol scored their first from a counter attack with Pena heading the ball from a Nene cross. In the 54th minute Valdes made Barca task even worse by giving the ball staright to Pena who made not mistake in lifting the ball over Valdes with ease. 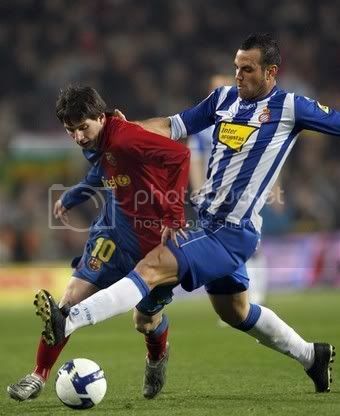 In the 62nd minute Toure scored for Barca to cut the lead after a Xavi free kick was poorly cleared by Espanyol defense. In the 65th minute to everyone surprise Eto was taken off and was replaced by Gudjohnsen. Busquets moved to the front supporting Messi and that made sure that we had only one player up front. In the 70th minute nietehr Busquets nor Messi nor Gudjohnsen failed to get at the end of a great Xavi free kick. Gudjohnsen had two chances towards the end but blasted one high and the other was blocked. This was the worst game Barca played after a long time. They looked very loose last night. The refereeing of Ferreiro was pathetic and that didn't help Barca's course either. But blaming the referee is not the solution and we have been playing poorly after the break. The only match where we played well throughout was the match against Gijon where the front three were doing their defensive duties upfront perfectly. 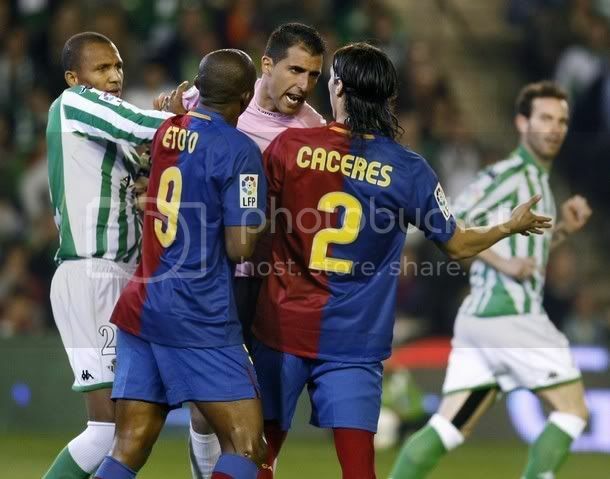 But the way referee reacts when other team players are hell bent on hurting Barca players is awful. This is one tactics showed by Real Madrid in their match against Barca at Camp Nou in December and everyone is continuing this. Guardiola has to address the dip inform and see how much did Eto's tantrums last week upset the team. If we are going to play the same way we will be doomed in Lyon on wednesday. 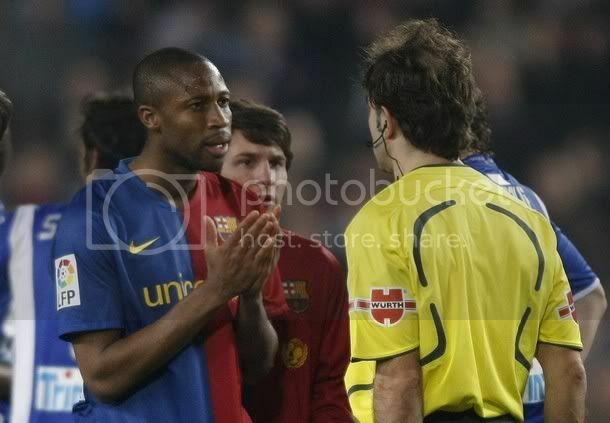 It is so surprising how Keita got red carded but nothing for Sergio Sanchez for the challenge on Abidal. For once Lyon will start favourite in the first leg. FC Barcelona would be hoping to put the draw against Betis past them with an emphatic performance against city rivals Espanyol. They have to do that without their influential midfielder Andres Iniesta. Guardiola has promised to unleash Messi from the bigining against Espanyol; Messi started from the bench in Barca's last two games. Espanyol at this moment lies at the bottom of the table and have a good chance of getting relegated. THe fact that they have to play Real Madrid and Villareal after this does not help their cause also. Espanyol keeper Kameni is very doubtful for thsi match and has to pass a late fitness test. The last time these two teams met was for the Copa Del Rey, whereh eventaually Barcelona emerged victorious. It is also to be seen whether Puyol would start the match or Guardiola would prefer to rest him till the match against Lyon. As in the case of all home matches this season, Guardiola has not named his squad. 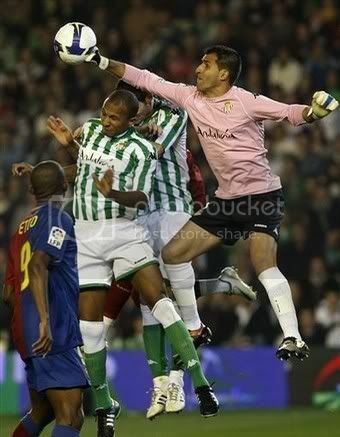 Valdes is expected to start at the goal after a good performance against Betis last weekend. Alves, Marquez, Pique and Abidal are expected to form the defensive cover. Alves had a bad game last week and he would be hoping to compensate for that. 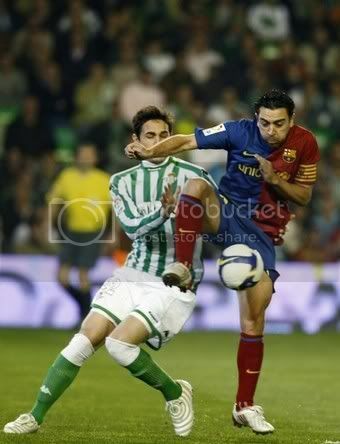 The midifeld would definitely feature Xavi and Toure. The third midfielder would be a toss up between Busquets and Gudjohnsen, I expect Gudjohnsen to be picked. 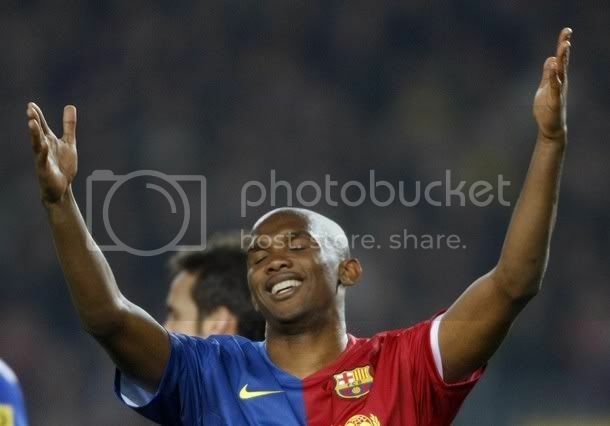 The front trio is not going to change withe Messi, Eto and Henry. It is to be seen how the Nou Camp faithfuls react to Eto's antics recently. 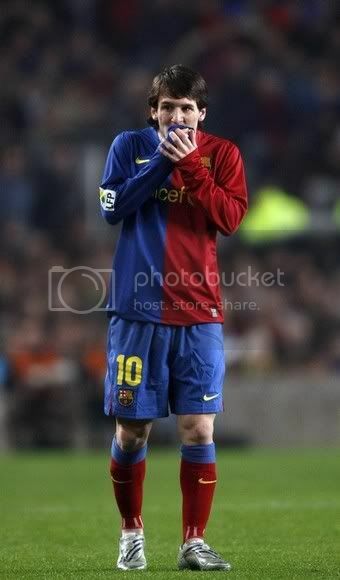 This is a must win game for FC Barcelona, we cannot give anymore glimpse of hope to Real Madrid. I expect Barca to win this by 4-1. Spending Cap, Is It Fair? UEFA president Michel Platini has called upon the European Parliament to make Football a special case and allow him to introduce spending cap in the sport. Platini has already spoken against Manchester City's astronomical bid for Kaka and raised the issue again in the Parliament. But for all his passionate cries, the free market guys in the Parliament are not going to fall into Platini's demands. The European Club Association(ECA) earlier has demanded to set a cap of 50-60% of their revenue as spending cap. What a noble idea, you might think! But hold on that may not be as noble as you think. All these cries and yelling for salary cap and spending cap came after one specific event in the last year, the acquisition of Manchester City by Abu Dhabi United Group. I have wrote an earlier article about the merits and demerits of it; Have a look - Million Dollar Clubs. This is the age of Russian billionaires and Middle East Oil tycoons who are ready to pump huge amount into the clubs. But why then there is huge cry when Manchester City went after Kaka; why nobody raised a question apart from Manchester United when Real Madrid went after Ronaldo in a similar fashion and still does? Why no one complained when Chelsea was taken from being an average team to an extra ordinary team by the wealth of its Russian owner? That's where the apartheid in ECA lies. FC Barcelona would be missing their instrumental mid-fielder for two weeks. Andres Iniesta has been sidelined after suffering an harmstring injury. The doctors have advised him for complete rest for two weeks. This is sad as he was coming back to his best. 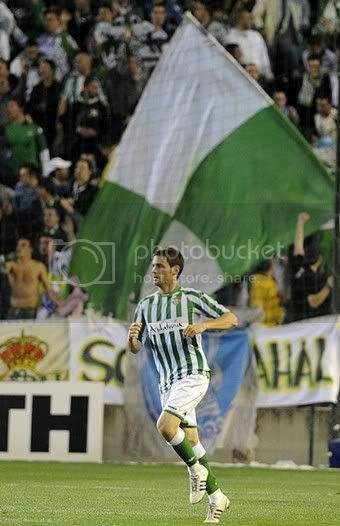 His last two matches - against Betis and against England he was coming back to full force. He is definite to miss the first leg of Champions League encounter against Lyon. 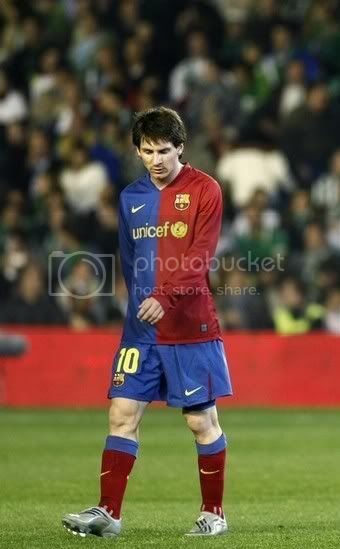 The best we can hope is to see him action against Mallorca in the Copa Del Rey second leg, which will be held on March 04. But that all depend on how fast he recovers; then again Pep may not risk him in that match and wait till he is completely fit. As far as Barca is concerned - we missed him during the crucial phase in December. But we came through it in flying colours. Pep could use anyone of Keita, Gudjohnsen and Busquets in the midfield; but they will not be able to substitute the skill of Iniesta. Eto has been stalling the renewal of contract for sometime. Now the plot gets thicker with Manchester City and AC Milan reportedly interested in signing him. This is something which Eto wanted, as this will give him more bargaining power with the club. But this could also harm Eto's interest. Txiki Begiristain , the sporting director at Barca has reportedly made a statement that at Barca anyone can score. He also made it clear that their initail priority is to extend Eto deal; but they are well prepared if that falls through. Eto could be a bit upset at the treatment metted out by Guardiola in the beginig of season, but it is hard to believe that he would like to move out of Nou Camp. Where will he get a more perfect team to complement his goal poaching skills? But these development will force Barca to go after Benzema and Villa with more determination, and in the end Eto could be the loser.